The pendulum swings behind a beautiful clear glass pannel. The clock does have some replacement parts such as the top of the crest. This clock is in complete working condition. The clock has a dimension of height being 18 ¼ inches and a width of 12 inches. Since this is a winding clock, it does have a key that goes with the clock. This clock is a very dark stained clock making the porcelain part of the clock really pop. The clock is almost a black but is a dark dark brown. 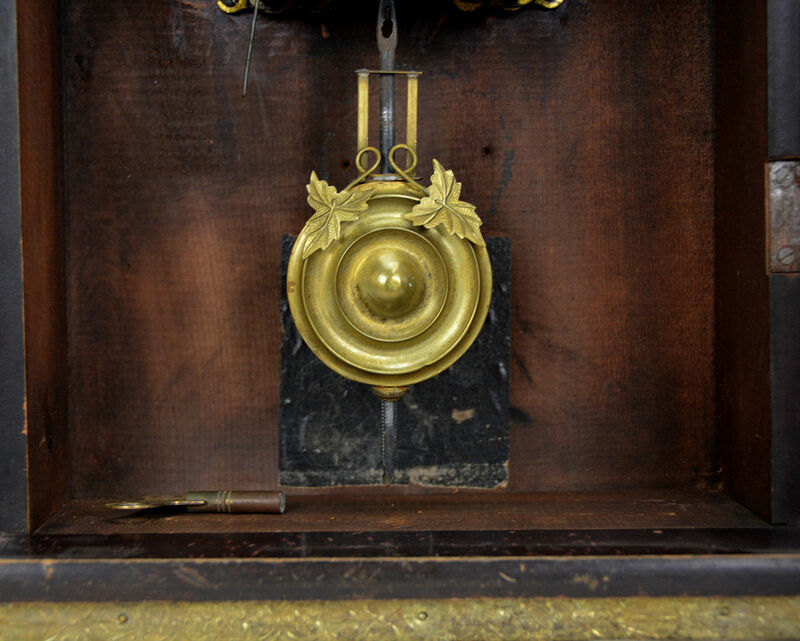 The top of the clock holds the monk and the bell. 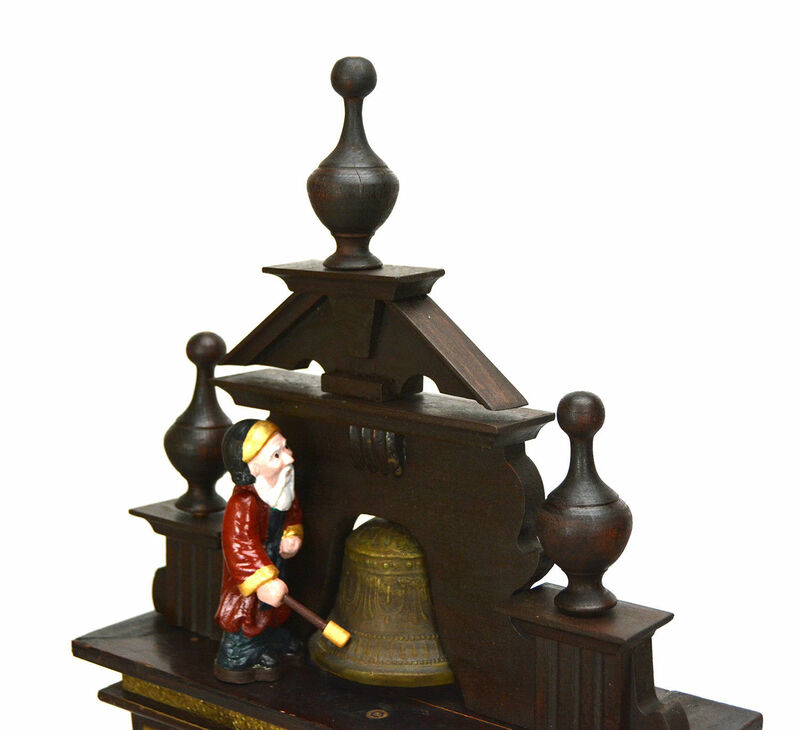 The top of the clock that holds the monk is almost designed like a temple around him. It is beautifully designed to complement the monk striking the bell. The monk has the only real color that appears on the clock. The color of his robe is red which stands out because the rest of the clock is dark brown and gold. 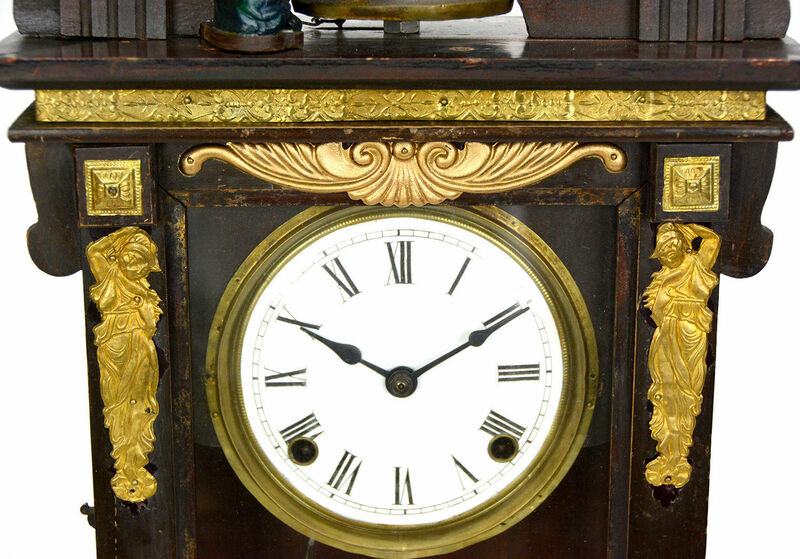 The face of the clock is bright white with black letters and hands with a gold ring around the time. The gold designs of the clock around the whole clock really compliments the dark stain of the rest of the clock. The detailing with the gold accents makes this a beautiful clock. The bottom of the clock stands on four legs that that leaves about an inch space from the surface to the start of the front of the clock. This clock being an antique is in great condition. All parts are not original but it is in amazing working condition. The clock keeps time very well and is reliable. With proper care a clock like this could continue being passed down from generation to generation, keeping the history of these clock alive. 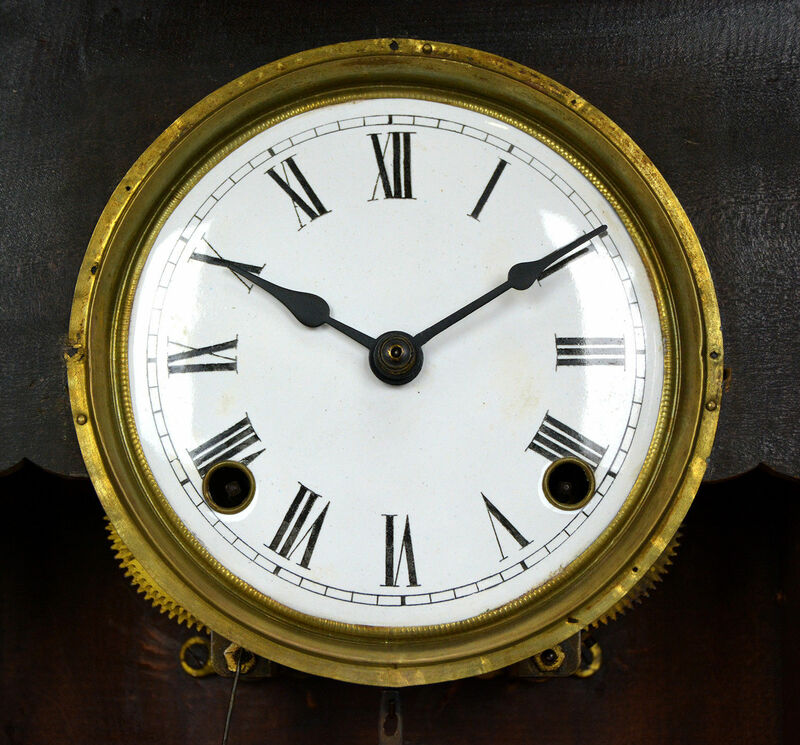 To many people clocks such as these are an important part of family history and their stories. Keeping these types of clocks in great condition such as this will have many people collecting and finding history in each unique clock.